Edit: Google have moved the effective date of the new pricing, and the $200 free monthly credit, to July 16th. Google is launching the new Maps, Routes and Places functionality on June 11th. To provide you with an additional month of lead time, the new terms and pricing won’t go into effect until July 16th. Read more here. Google announced in May a massive revamp of its Google Maps business. 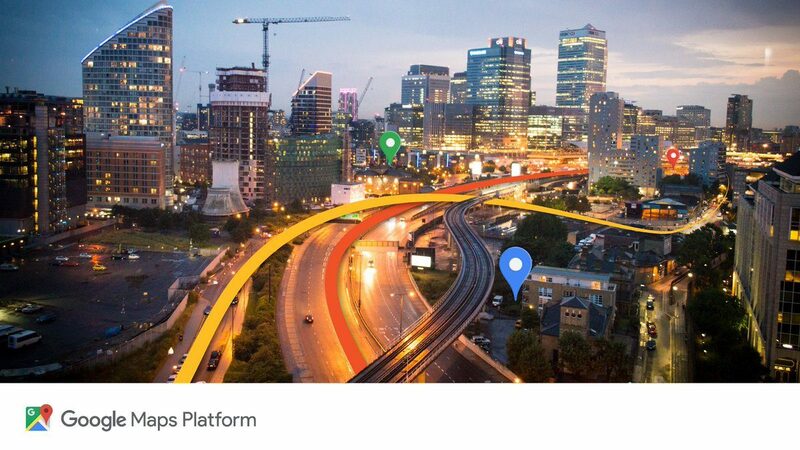 The upcoming Google Maps Platform brings with it streamlined API products, a simplified customer experience, a single pricing plan with pay-as-you-go billing, free support, a single console, and new industry solutions. Great right? Of course there is a catch… Starting on June 11 2018, you’ll need a valid API key and a Google Cloud Platform billing account to access the core Google Maps APIs. What does this mean for developers and website owners? It certainly looks like we can expect an improved service from Google which is great news. As part of this new initiative, Google is combining the 18 individual Maps APIs currently on offer into three core products: Maps, Routes and Places. Developers can sleep easy as Google promises their existing code will continue to work without any changes as well. However, many website owners opt to hire a developer to maintain their content on their behalf and choose to stay away from anything web related. This upcoming update means many developers will need to call clients up and ask them to either A) set up a Google account and guide them through the process and/or B) ask for their card details to set up their billing account – not ideal. Then there’s the change in price and usage. If your website relies heavily on Google Maps (an estate agent for example), the $200 credit (roughly 28,000 dynamic maps loads) isn’t going to last long. Compared to the old structure, there’s a +1400% price increase and a -96.6 % usage decrease in free map loads… Yikes. If you rely on the Google API and simply allow this day to pass you, you may find services disrupted somewhat. You can no longer use the APIs unless you create a billing account and hand-over your credit card information to Google. This is applicable to all users – even those who have a simple map embedded on their website’s contact page. So moving forward, what are the available options? Get moving and set up client Google Accounts and billing, no seriously, get moving! If you can do without the dynamic options, switch to the standard embedded version, which remains completely free if your usage is low enough. Remove Google Maps and opt to use a static image and/or link to Google Maps perhaps. It seems a lot of users aren’t happy. When you consider the new cost, combined with the drastic change in usage allowance AND that a lot of information within Google Maps is provided for FREE by Local Guides – I’d have to somewhat agree. However, the fact that the basic embedded version remains free (at least for now) is great for those who simply want to show an interactive map on their website. Yes. Starting July 16, 2018, when you enable billing, you get $200 free usage every month for Maps, Routes, or Places. Based on the millions of users using our APIs today, most of them can continue to use Google Maps Platform for free with this credit. I only use a map for show where I’m based, will I be charged? Embed refers to a basic Maps Embed API request that uses map or a map with a marker. This does not include the Directions mode, Street View mode, or Search mode. These requests are free of charge. Embed Advanced refers to an advanced Maps Embed API request that uses the Directions mode, Street View mode, or Search mode. These requests are charged. User interactions with the map, such as panning, zooming, or switching map layers, do not generate additional map loads. Can I set usage limits? To protect against unexpected increases, you can also set daily quotas, maximum daily billable limits, or maximum daily usage limits. If your business depends on Google Maps APIs, you can check out Google’s Guide for Existing Users. You’ll be able to check if you fit within the $200 free monthly credit before the launch date.